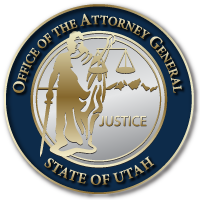 SALT LAKE CITY December 9, 2016 – The Utah Attorney General’s Office announces the guilty conviction of Emilio Daniel Chavez, age 26, on four counts of Sexual Exploitation of a Minor, all second-degree felonies, in Third District Court. During an investigation by the Utah AGO’s Internet Crimes Against Children Taskforce, investigators found over 1,385 images of interest on Chavez’s computer. Chavez admitted to investigators that he owned the password-protected computer and admitted to downloading the images for his sexual gratification. Of the 1,385 images found on Chavez’s computer, the National Center For Missing and Exploited Children identified four of the images as known identified child victims. Assistant Attorney General Cynthia Poulson charged the defendant with four counts of second-degree felony Sexual Exploitation of a Minor. At a three-day trial, AAGs Poulson and Burggraaf presented the State’s case to the jury. In his defense, Chavez took the stand and testified he had no knowledge of the images and implied that investigators had lied about his confession. Ultimately, the jury did not believe Chavez’s version of events and found the testimony of the investigators to be credible and persuasive stating “the forensic evidence in the case and defendants internet history were very helpful considerations” in coming to their decision. Chavez is scheduled for sentencing on January 17, 2017. This entry was posted in Archived Posts, Recent Posts and tagged Cynthia Poulson, Emilio Daniel Chavez, Greg Ferbrache, ICAC, Ken Burgraaff, Shelley Coudreaut on June 27, 2018 .